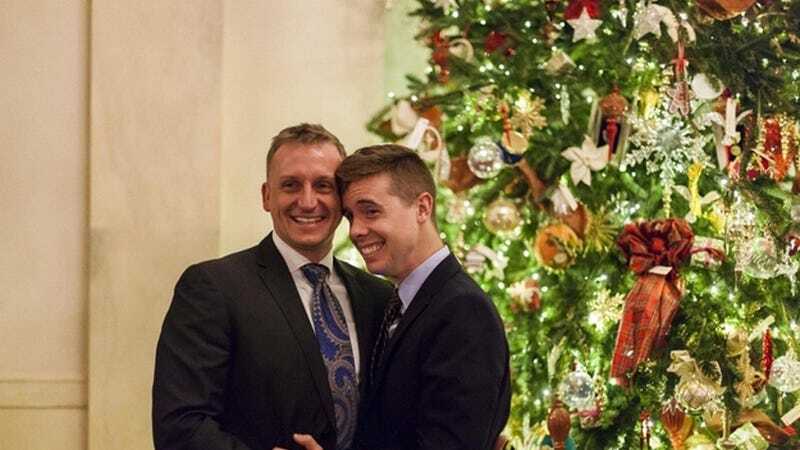 In a romantic and unprecedented move, U.S. Marine Corps captain Matthew Phelps has become the first man to propose to his male partner inside the White House. The proposal occurred this weekend when Phelps and his boyfriend Ben Schock were visiting the monument. Historically groundbreaking news followed by even sweeter personal news — Ben said yes! In response to all the positive feedback, Phelps wrote a follow up post on his blog, saying, "Ben and I are blown away by the amazing love and support we have received. Thank you all so much for sharing in our joy and our lives."